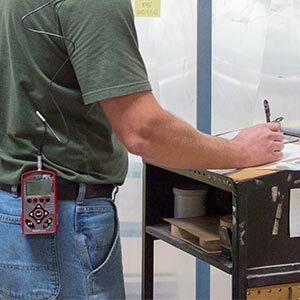 Workers are among the first to have exposure to potential health hazards from new technology and products, and their exposure to any new material is often greater than for the general population. For that reason, the National Institute for Occupational Safety and Health (NIOSH) says, worker safety and health are at the core of responsible development when it comes to nanotechnology. Increase understanding of new nanomaterials and related health risks to nanomaterial workers. Expand understanding of the initial hazard findings on engineered nanomaterials. Support the creation of guidance materials to inform nanomaterial workers, employers, health professionals, regulatory agencies, and decision-makers about hazards, risks, and risk management approaches. Support epidemiologic studies for nanomaterial workers, including medical, cross-sectional, prospective cohort, and exposure studies. Assess and promote national and international adherence with risk management guidance. Provided guidance on occupational exposure limits, control technologies, and medical surveillance. Nanomaterials are found in hundreds of products, ranging from cosmetics to clothing to industrial and biomedical applications. J. J. Keller® Industrial Hygiene & Safety Services provides a complete solution for minimizing workplace hazards that may result in injury or illness or affect the well-being of workers. J. J. Keller's FREE Workplace SafetyClicks™ email newsletter brings quick-read safety and compliance news right to your email box. Sign up to receive Workplace SafetyClicks™.